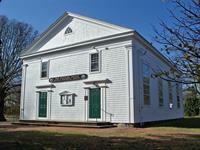 OHS headquarters is an 1834 Greek Revival Meeting House originally built for as Universalist Church of Orleans. The building houses the Society's Museum and also hosts its cultural programs. It is listed on the National Register of Historic Places. Exhibits and collections relate to the history of Orleans and its residents and include genealogical information, 19th and 20th century photos, artwork by local artists, special collections focusing on Orleans families and individuals, Native American artifacts, and other items. Educational programs for adults, families, and students include historic walking tours, lectures and concerts, and an annual Antiques Show in June. The Meeting House is also available to rent for functions of 60 people or less. A highlight of the collection is the Motor Rescue Boat CG 36500, famous for its rescue of 32 crew members stranded on the oil tanker Pendleton off the coast of Chatham in 1952. 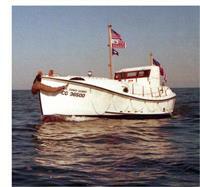 Visitors can see the boat at Rock Harbor in the summer months and at Nauset Marine East in the off-season. Museum: 1 mile from Orleans center on the way to Nauset Beach, corner of Main St and River Rd. CG36500 is at Rock Harbor end of May - mid-Oct. Docked at Nauset Marine East mid-Oct. to end of May.